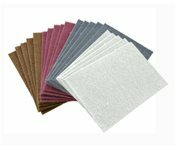 Save over 10% by purchasing the items in the Boeshield Kit together compared to ordering them separately (Regularly $37.97). 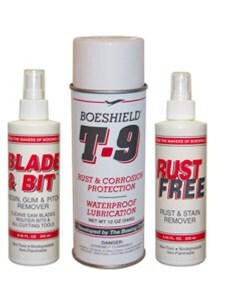 The Boeshield Tool Care Kit will help you maintain and protect your tools for years to come. The kit contains a 12 oz. Boeshield T-9 Aerosol, 8 oz. Rust Free Pump Spray and a 8 oz. Blade & Bit Pump Spray. The kit will give you everything you need to remove rust, lubricate, protect and clean your tools. Kit contains 8 fl. oz. spray bottle of Rust Free and 12 oz. aerosol can of Boeshield T-9 and a 8 fl. oz. spray bottle of Blade & Bit.